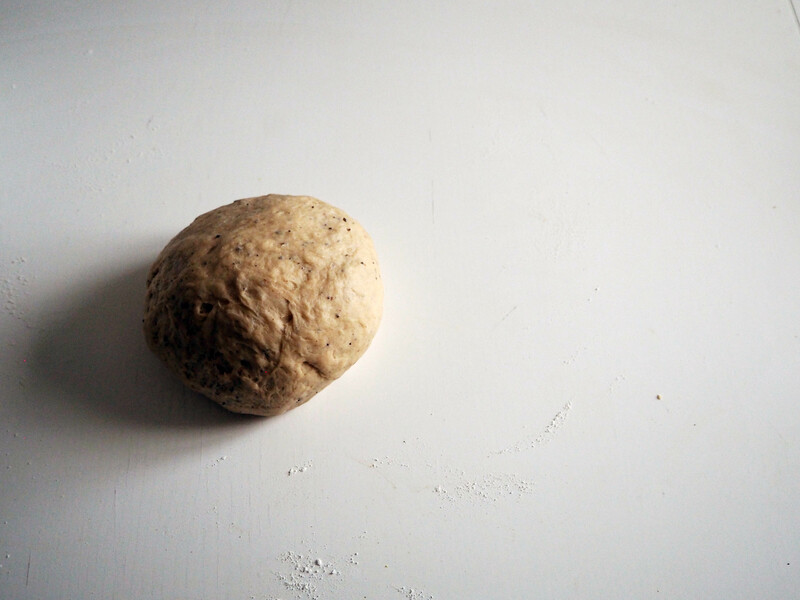 I thought of many different fillings for this next bun. 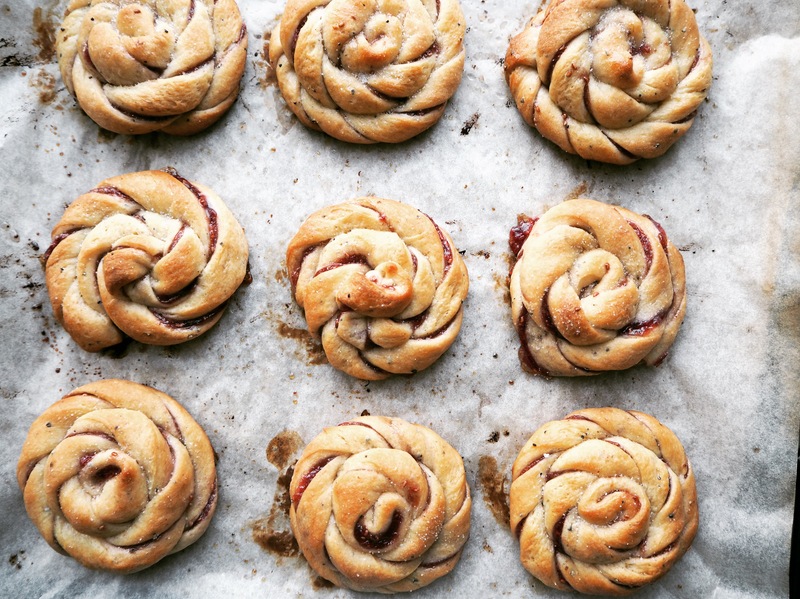 The poppy paste bun was delicious but it was fully sweet. This time I wanted to have both sweet and a bit of sour. Because this is the country of berries, I wanted to go that way. 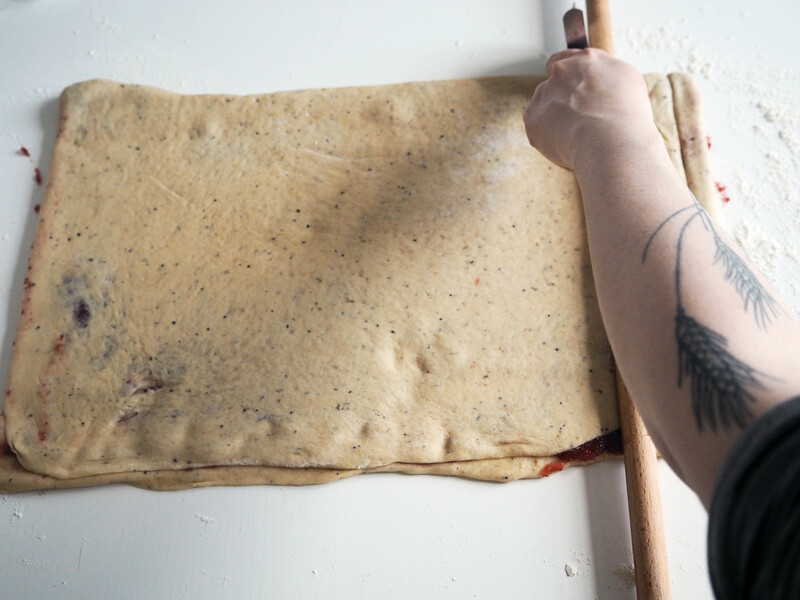 For a while I thought of using fresh of frozen berries, like blueberries or raspberries, but then I decided to use something that was smoother than pieces of berries. And this is how I ended up with raspberry marmalade. The result was just as I expected. 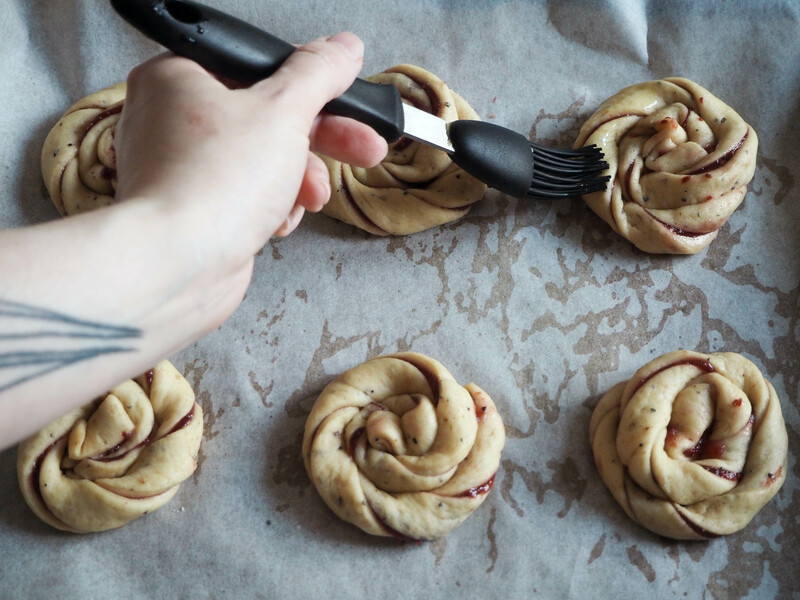 There is a sweetness that comes from the dough and also from the marmalade itself, but since raspberry marmalade is also slightly sour, this transfers to the buns too. 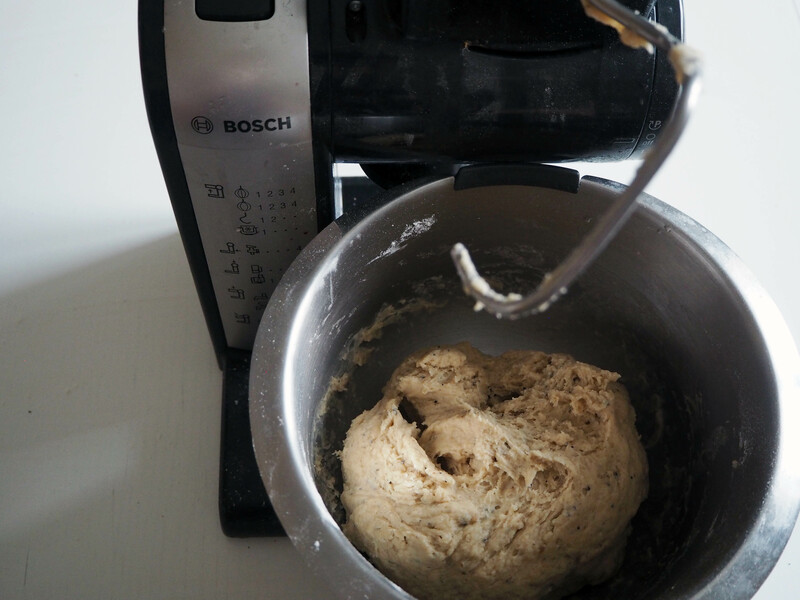 Then there is also a buttery taste from dough and from melted butter brush I did before and after baking, and there is a hint of cardamom in the dough. 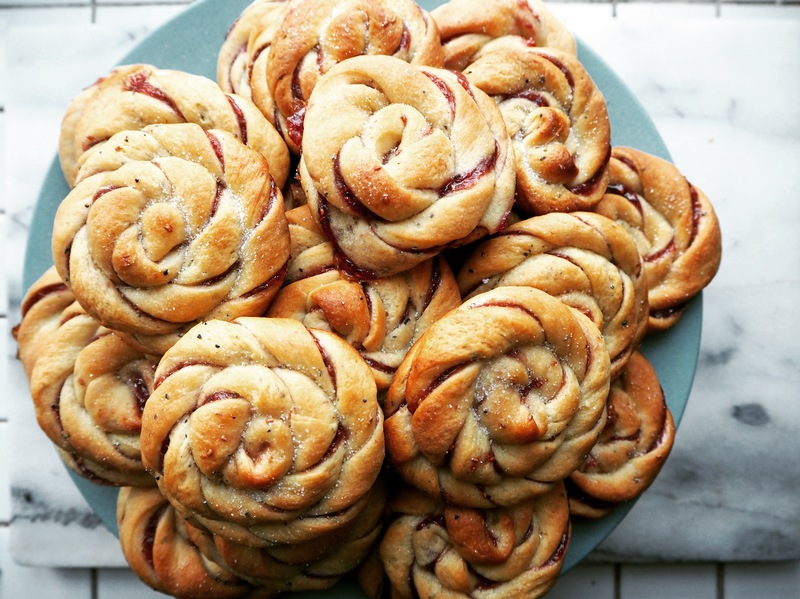 Now that the raspberry marmalade buns worked, it is easy to repeat it with different kinds of jams or marmalade to make different colour and taste combos. 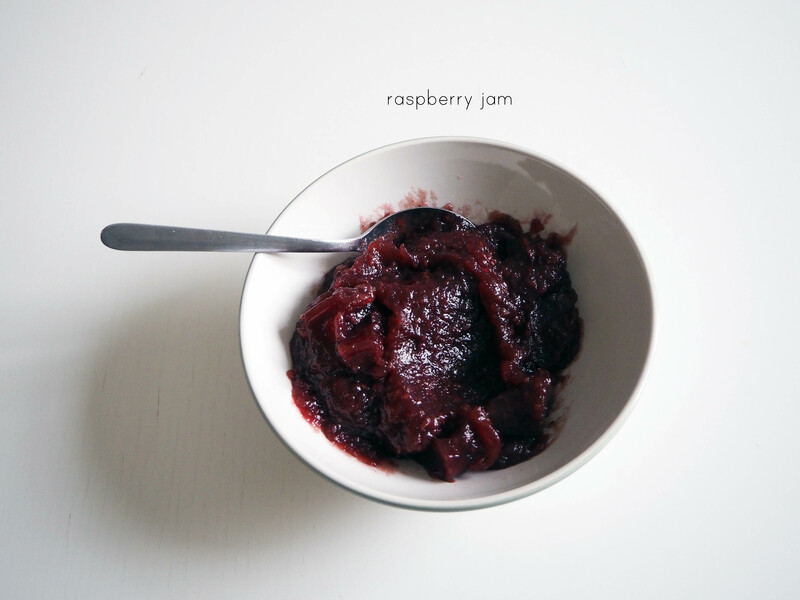 Blueberry marmalade / jam is definitely the next one for example! There is one thing to be careful about while using marmalade / jam as the filling though. It gets really sticky!! 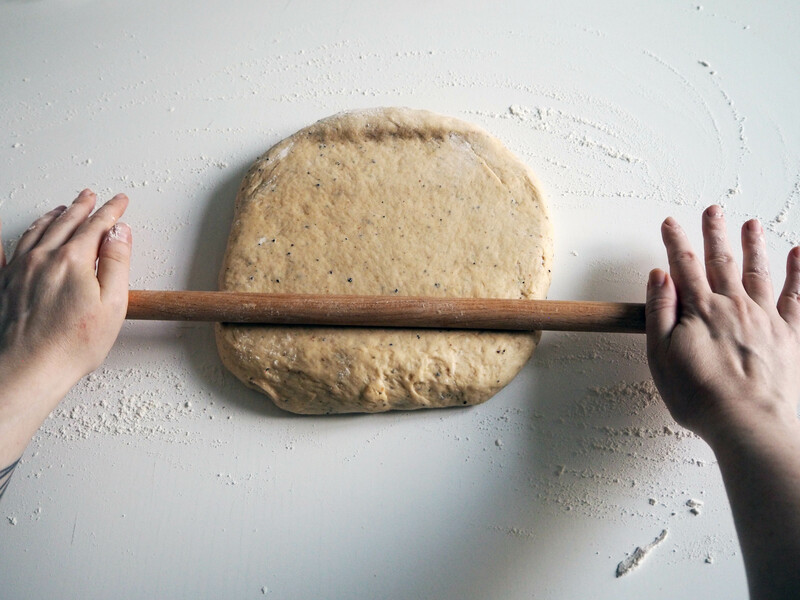 Especially while giving the final shape of the buns after cutting the dough as strips, it might get pretty messy. Be careful and don’t let this discourage you, just enjoy the mess! So yes, this new bun attempt became a success I think. I’m happy to finally get around to do it. We are going through the darkest days of the year, that’s why I’m surprised that I could make this blog post actually. 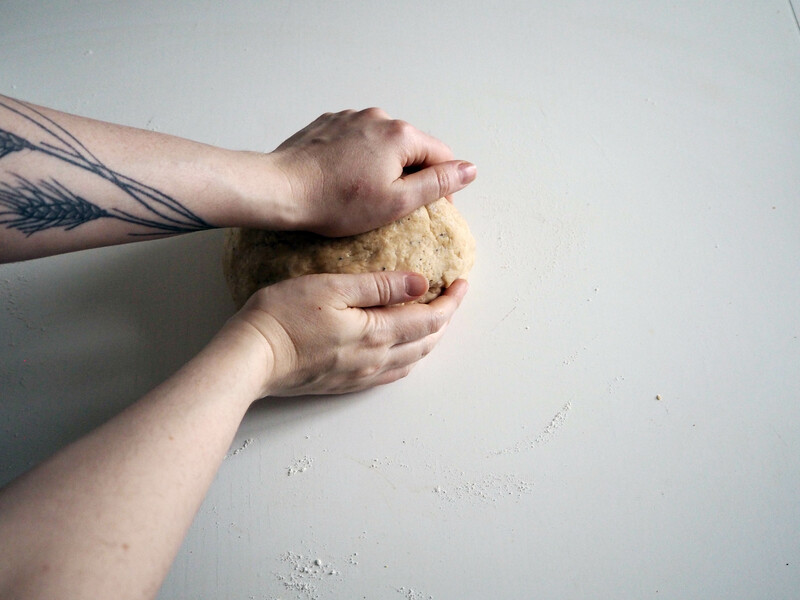 Making buns that needs to rise, proof etc. takes a lot of time and there is just a little bit of daylight every day. 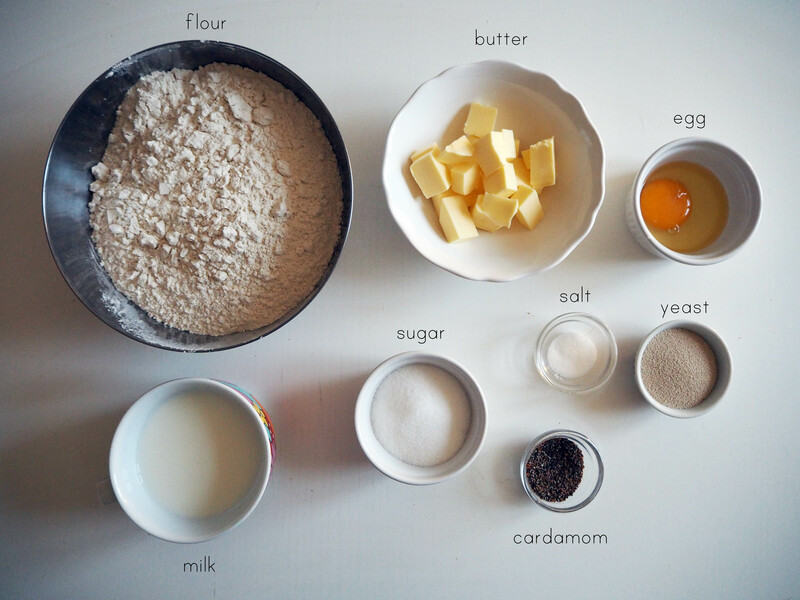 Luckily I woke up really early this morning to have all the ingredients ready and as soon as there was enough light to take photos, I got into the business. 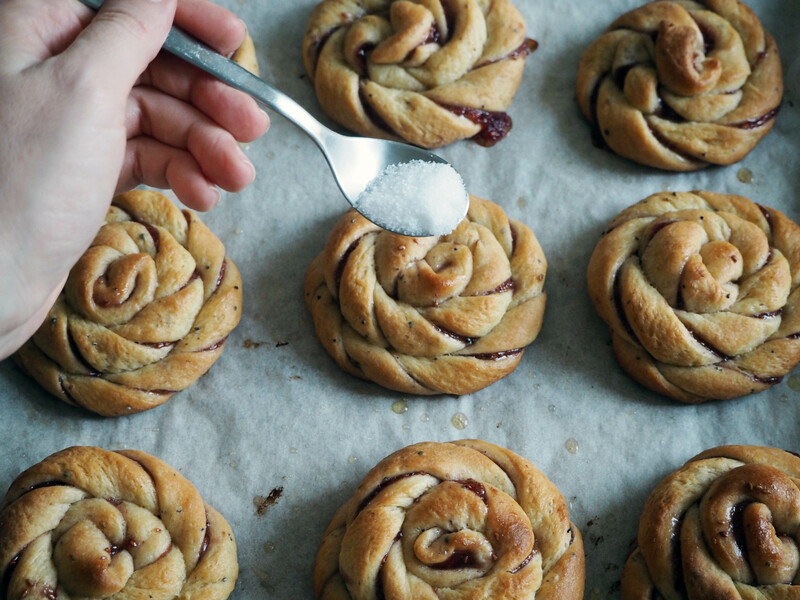 I will serve these buns today in Creative Mornings / Helsinki breakfast. I am the local breakfast partner of this monthly breakfast+talk event. 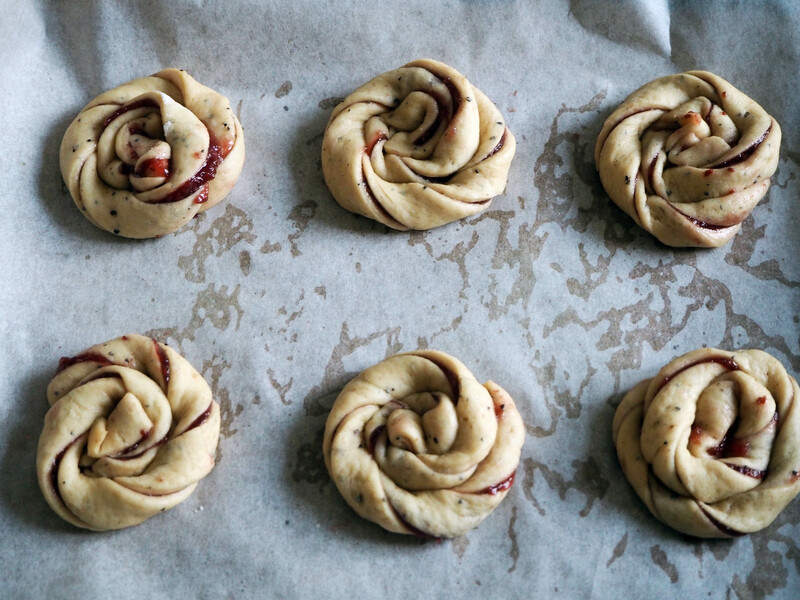 Let’s see if the participants will like the buns! 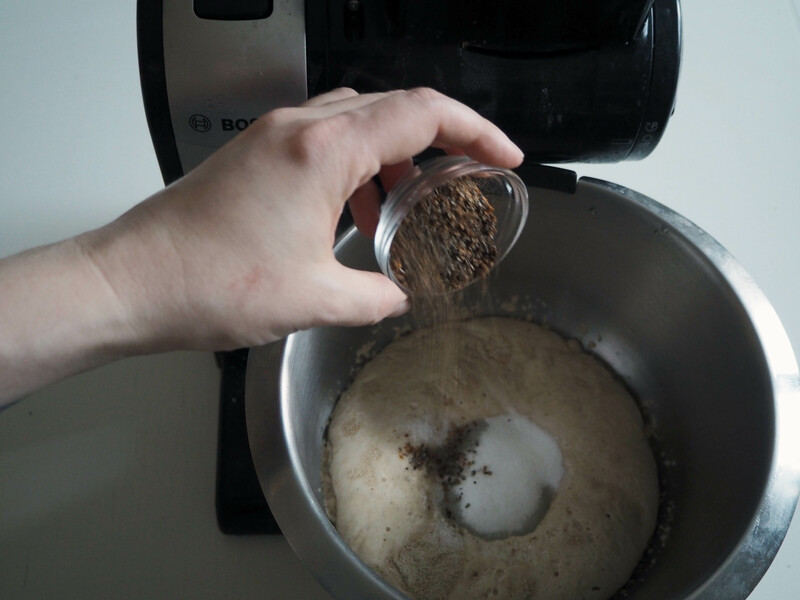 In the meantime, you can enjoy your new recipe! 1. 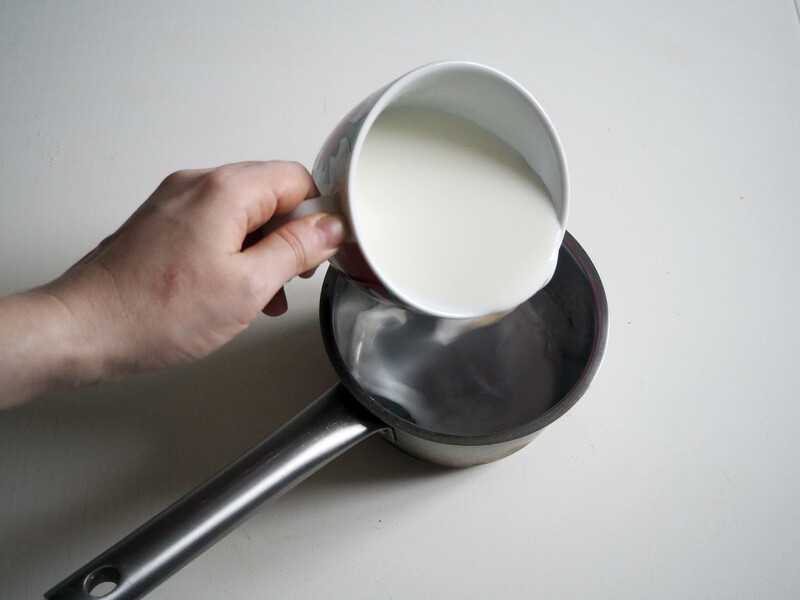 In a small pot, heat the milk to lukewarm (warm to touch but not too warm to burn). 2. 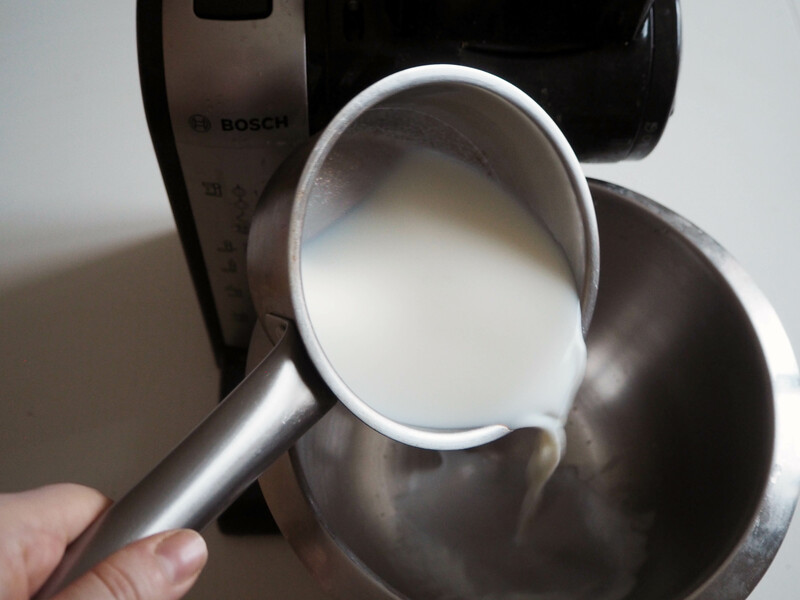 Transfer warm milk to a mixing bowl (I used electric mixer but you can also perfectly do everything by hand). 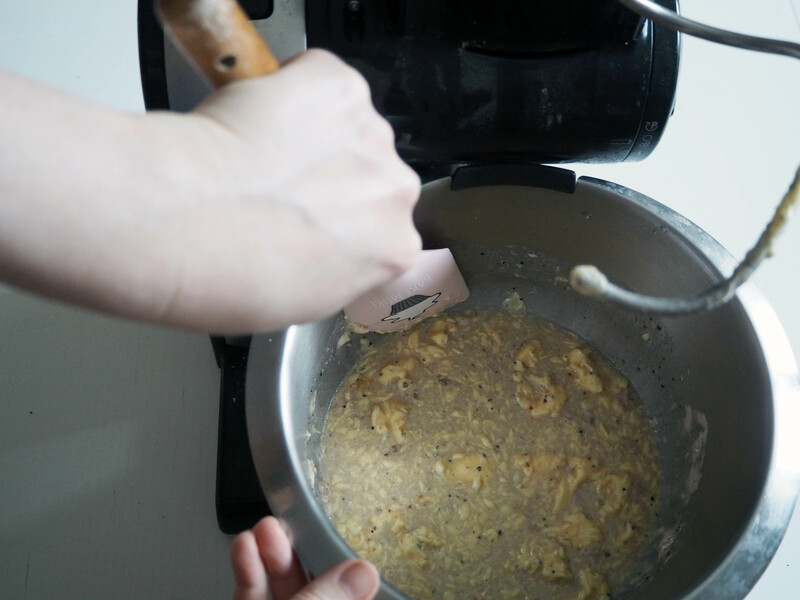 Add yeast, mix a little with a spoon. 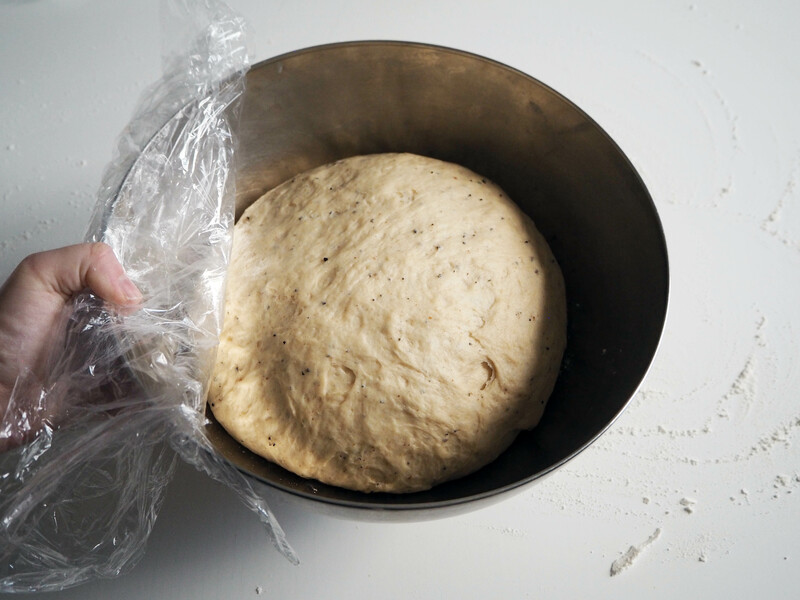 Let the yeast activate for about 10 minutes. 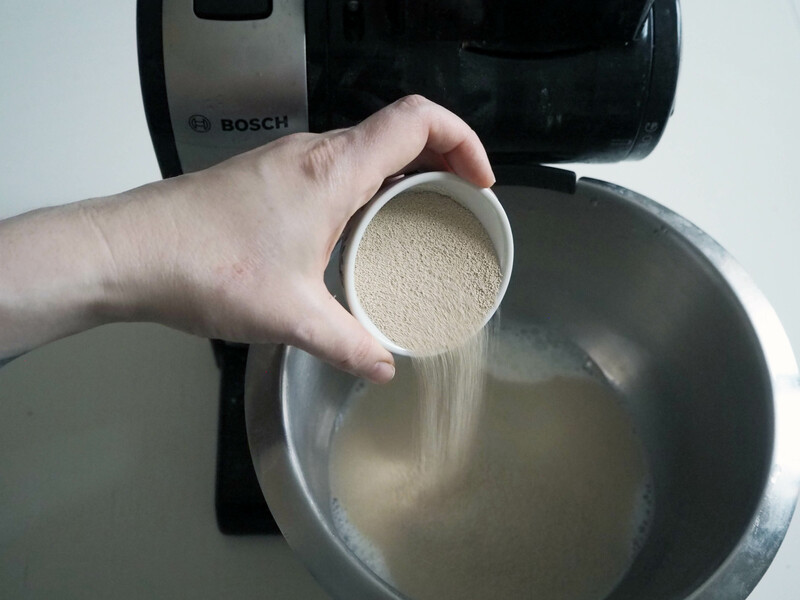 It will get foamy at the end of 10 minutes. 3. 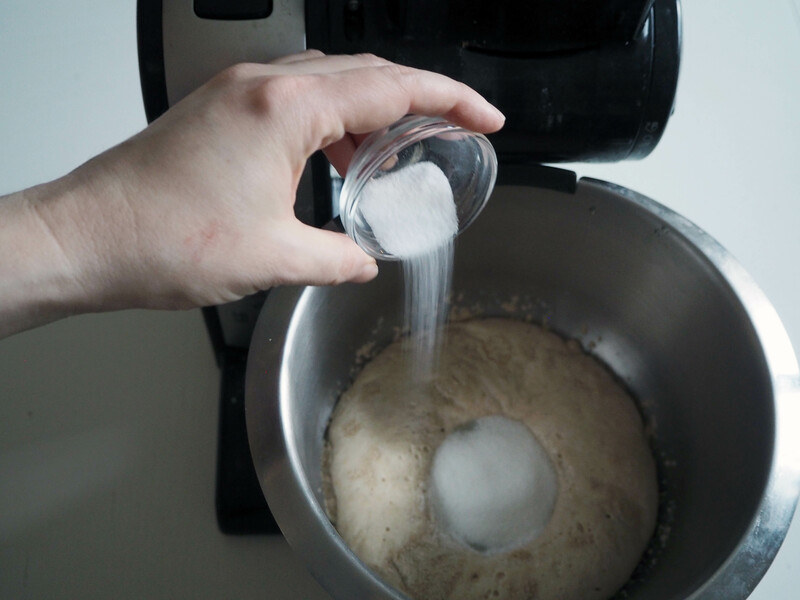 Add sugar, salt, cardamom and butter and using dough hook, mix as good as you can. 4. 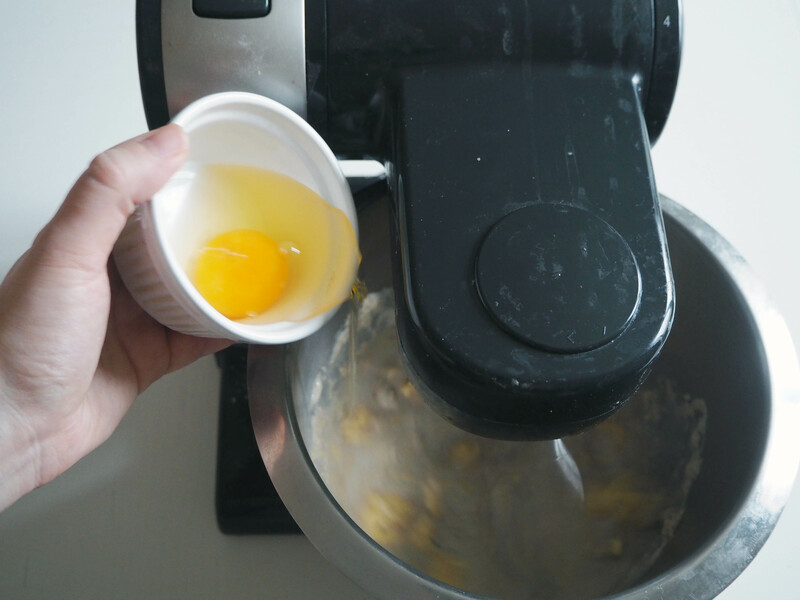 Add egg and continue mixing. Scrape sides of the bowl using a spatula if needed. 5. 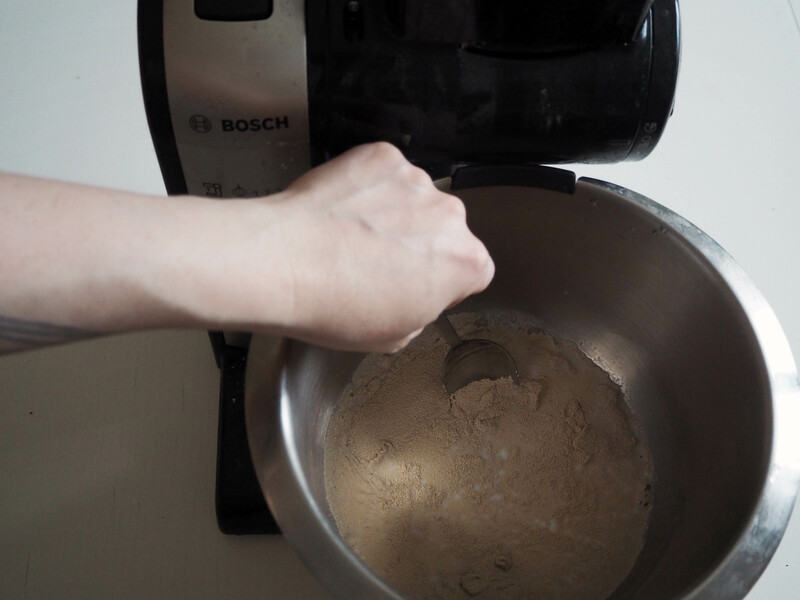 Add flour and continue mixing / kneading. 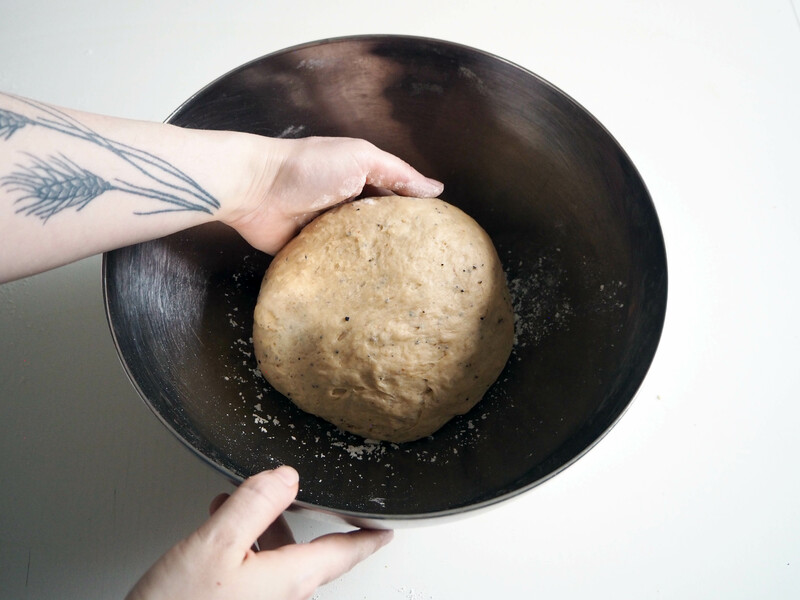 When the dough starts to get clean from the sides of the bowl, it is ready. 6. 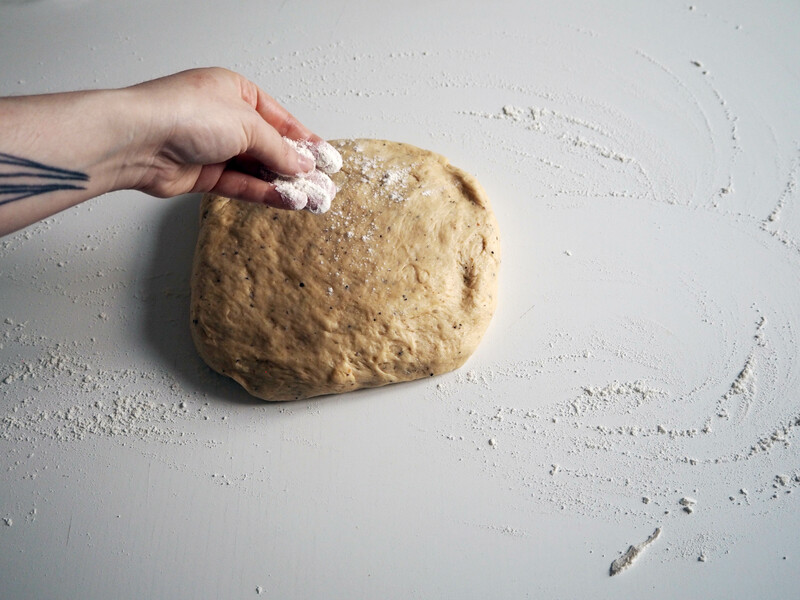 Flour your work surface lightly. 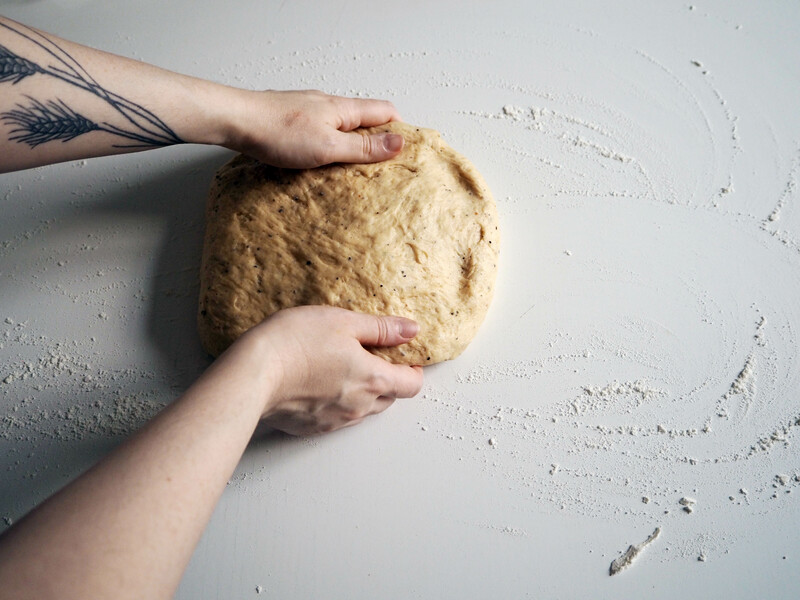 Put the dough on the floured surface and knead a little more, just for a couple more minutes, until you get a smooth, nonsticky dough. 7. 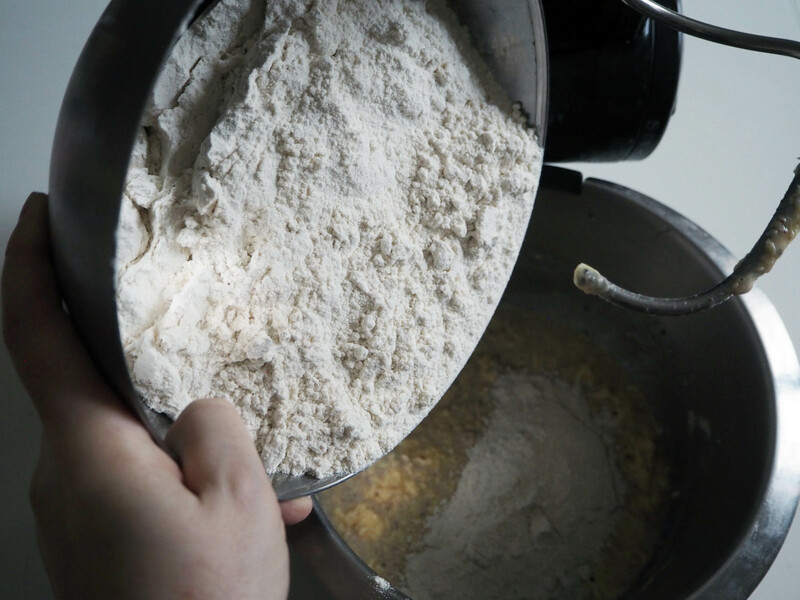 Take a clean, big bowl and lightly flour inside. 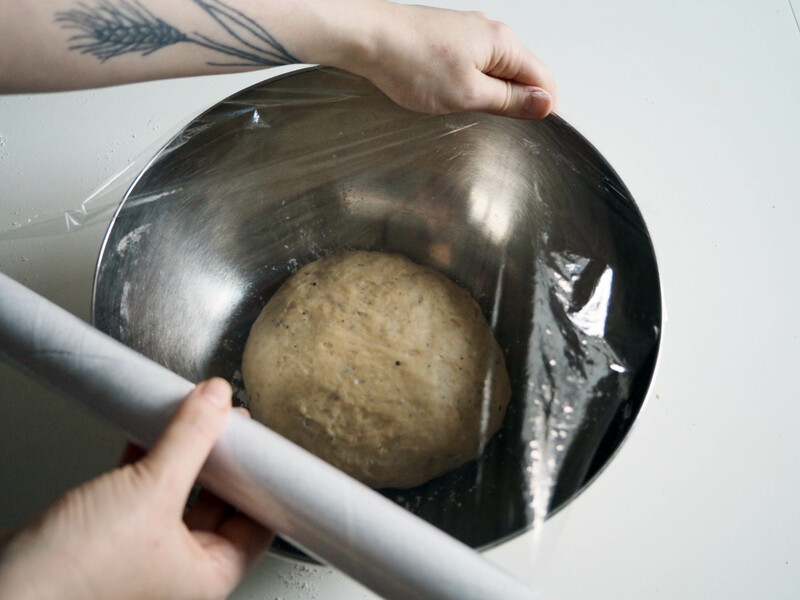 Put the dough in it and cover the bowl with stretch film. 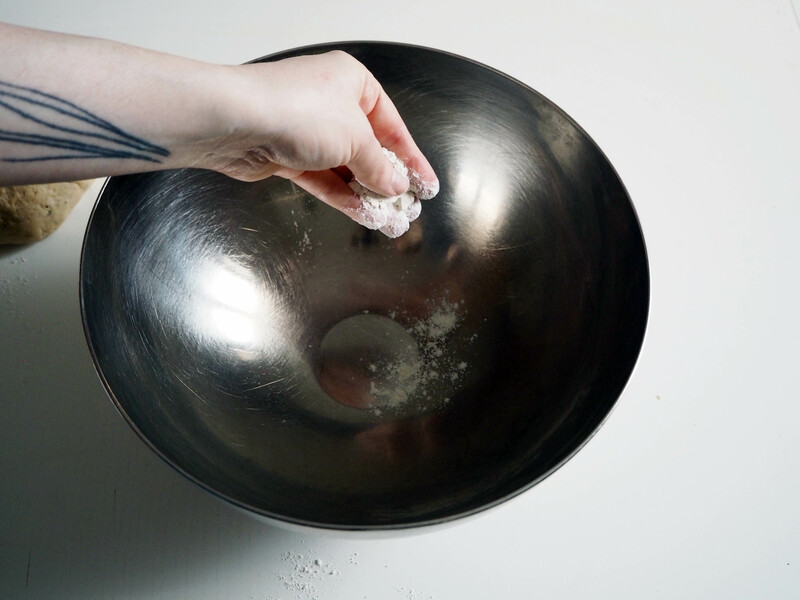 Put the bowl in a warm spot of your kitchen and let it rise up to double in size. It should take about an hour. 8. 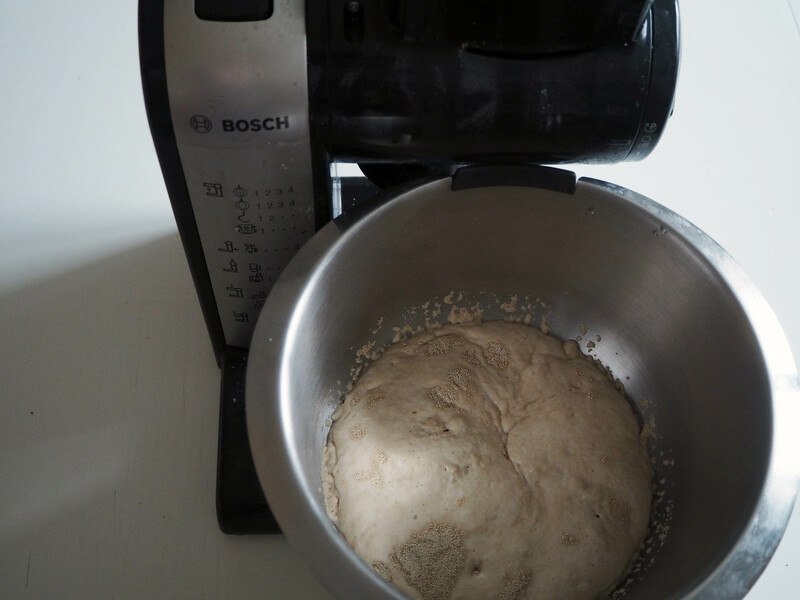 When the dough has risen enough, preheat the oven to 200C. 9. 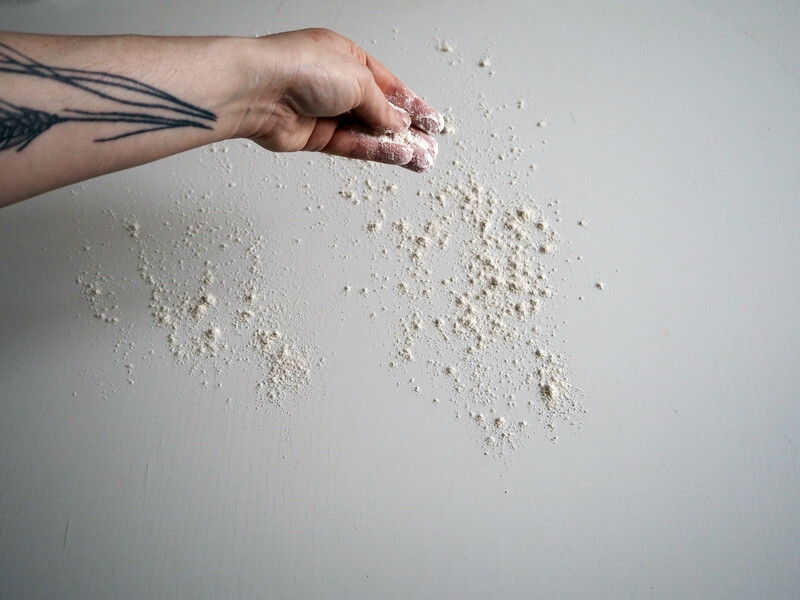 Flour your work surface again, this time generously. 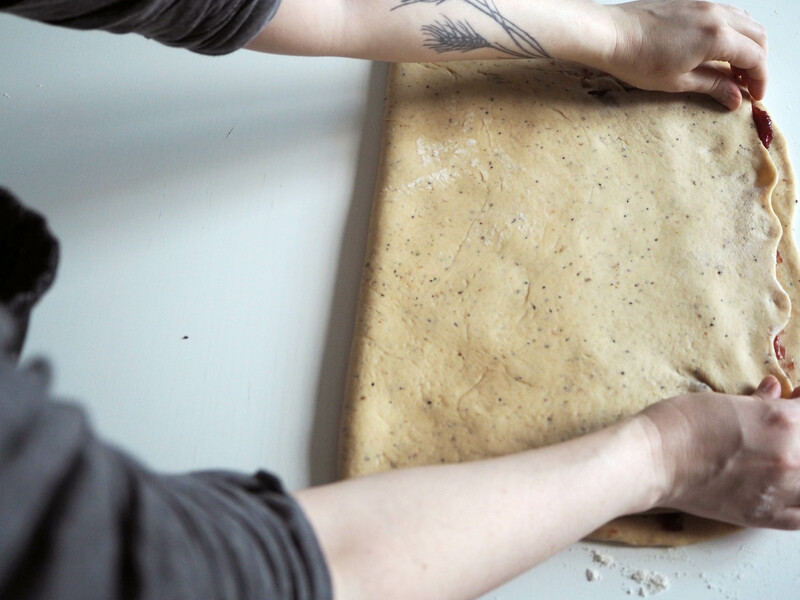 Put the dough on the surface and give it a roughly rectangle shape by hand. 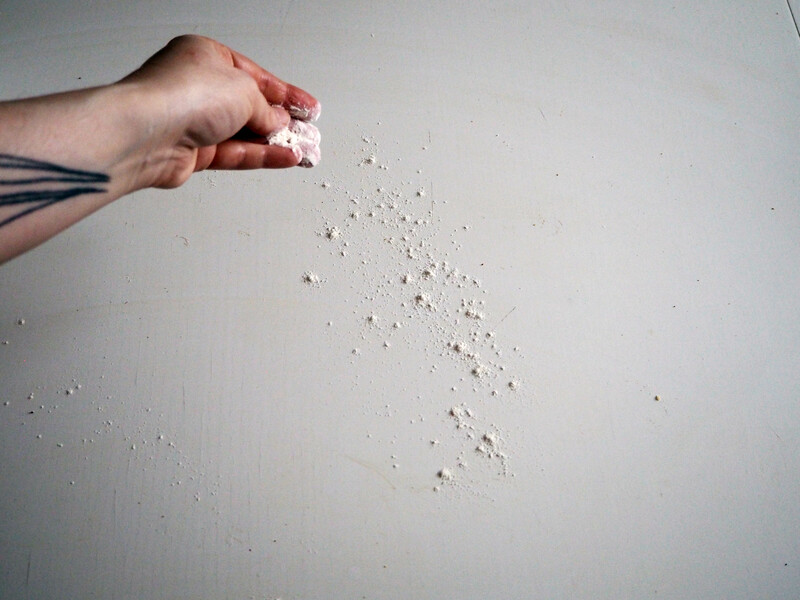 Dust its surface with some flour. 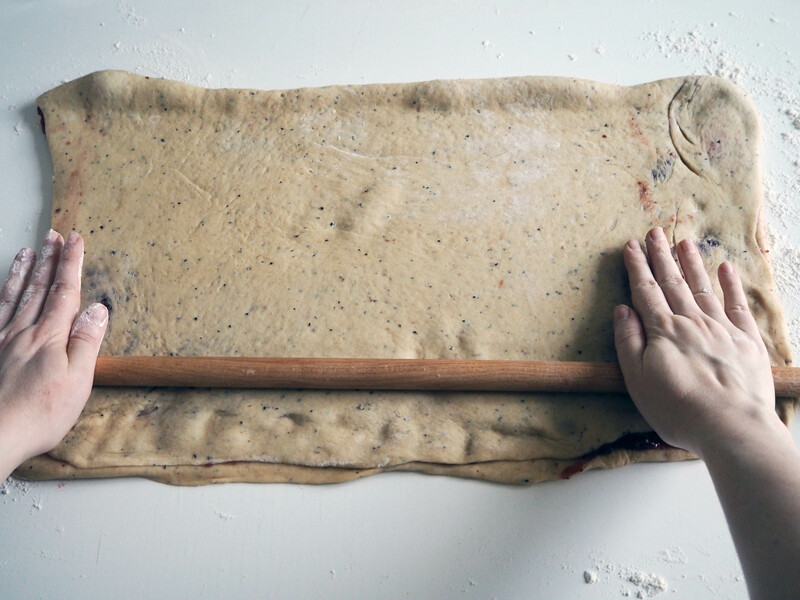 Roll the dough to a big rectangle, 40x60cm in size. 10. 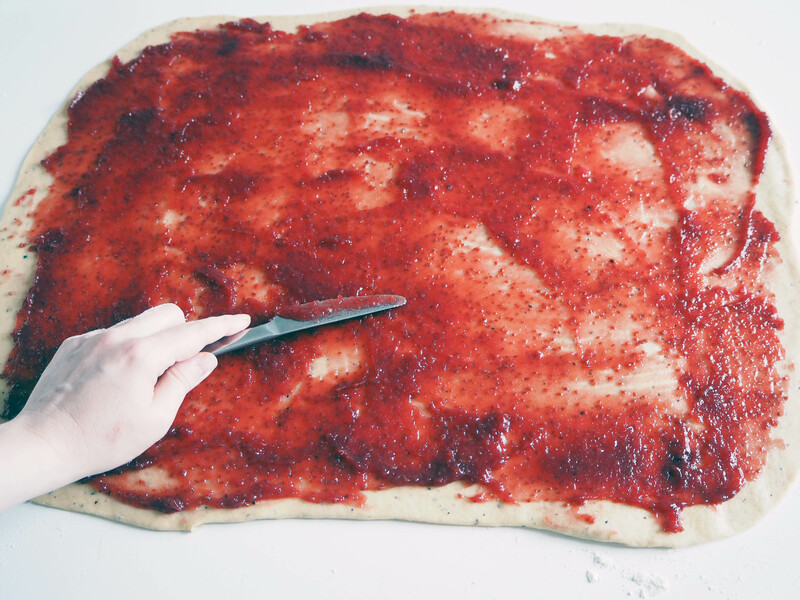 Spread raspberry marmalade on the dough and cover the whole surface. 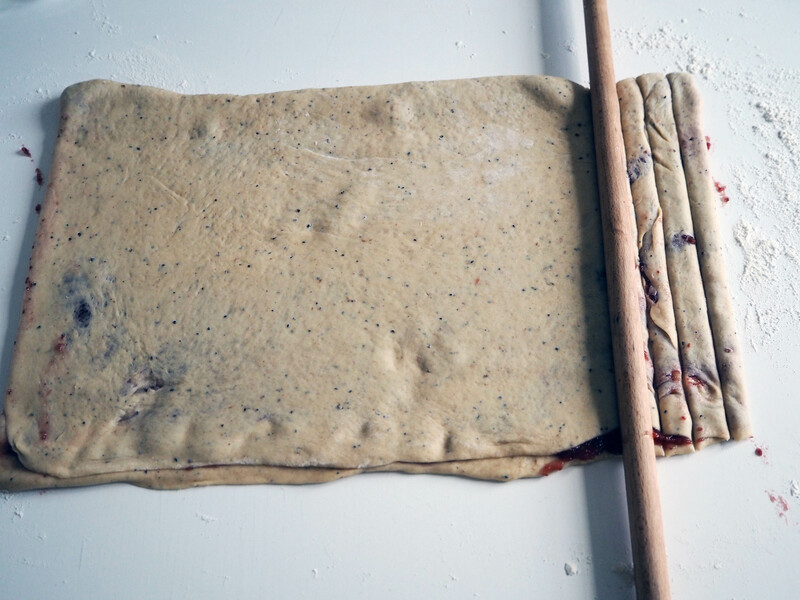 Fold the dough from the shorter edge and roll a little bit more after that, around 30x50cm (but don’t get too stuck in exact size. 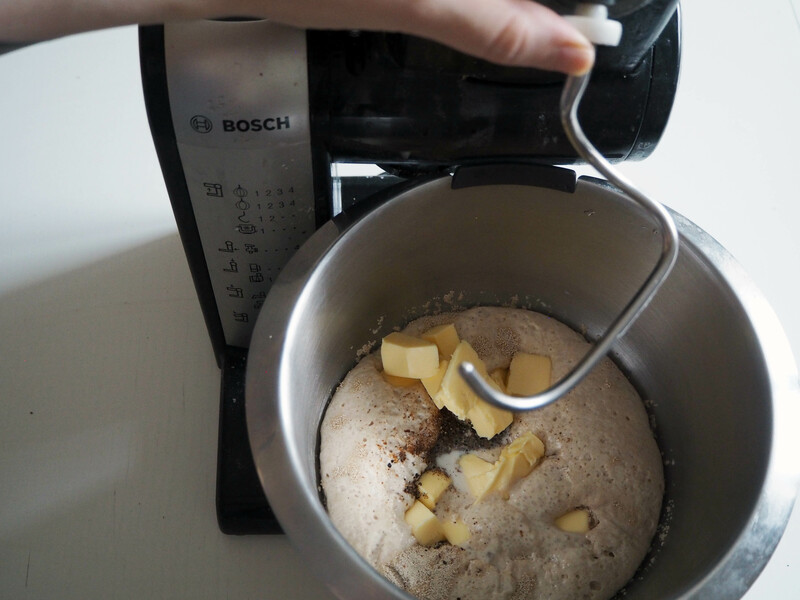 At this point, it is important to keep the dough strong and not tear it apart much so that the jam is not exposed much – otherwise it gets way too messy..). 11. Cut strips from the rectangle, around 2 cm wide. You will get about 25 strips. 12. 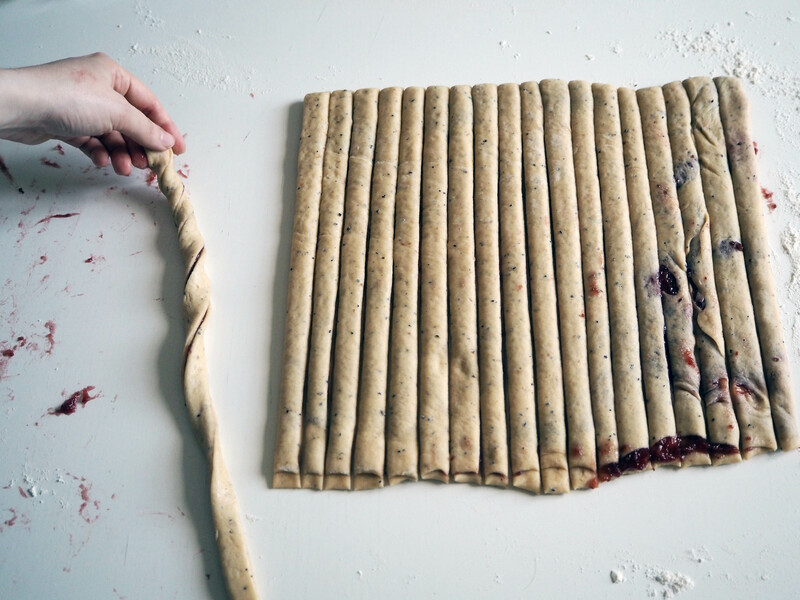 Take one strip and roll it around its axis in the picture. 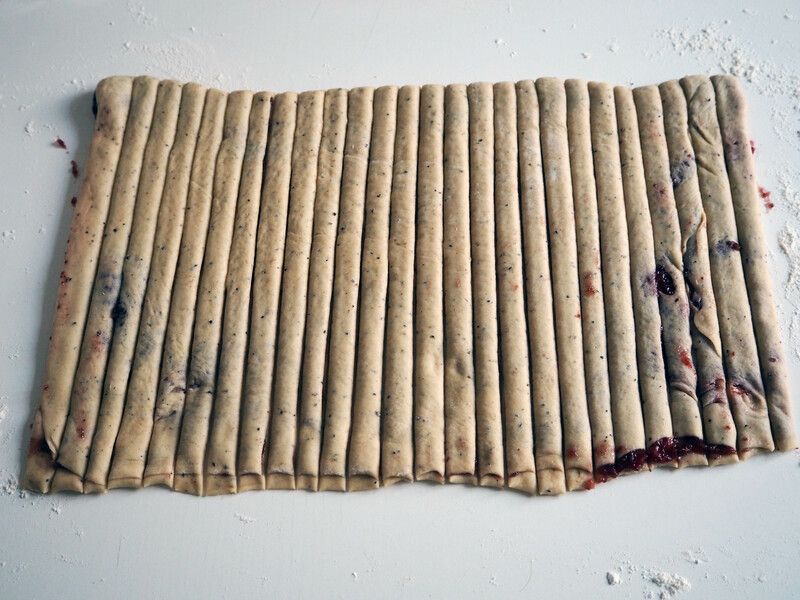 After that just roll the whole thing to create a spiral shape and tuck the end of the strip underneath the spiral gently. 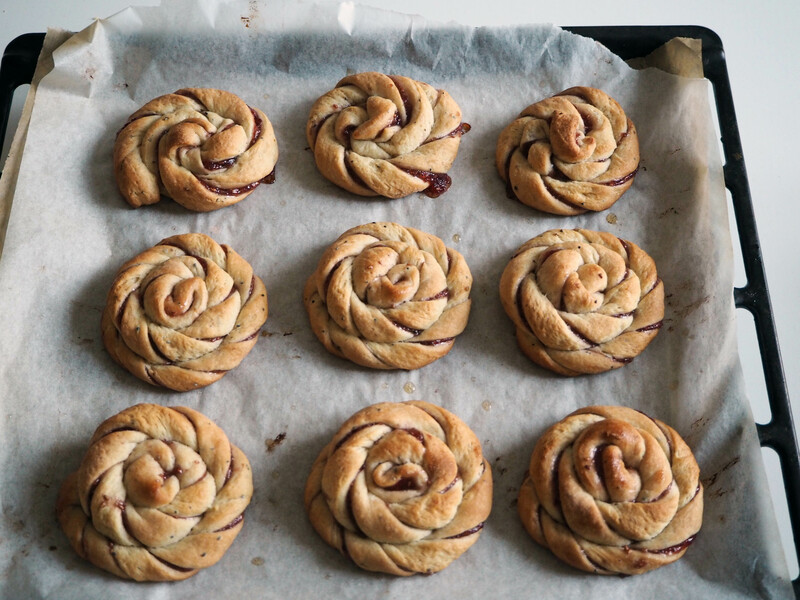 Put each spiral on an oven tray with a baking paper, at least 2-3 cm apart from each other. 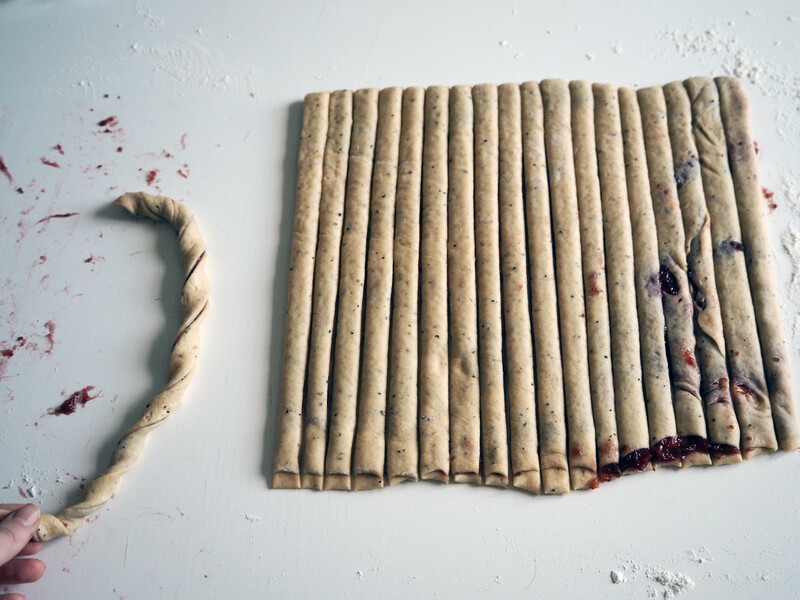 When one tray is ready, cover with a clean kitchen towel and let them proof for 20 minutes. 13. 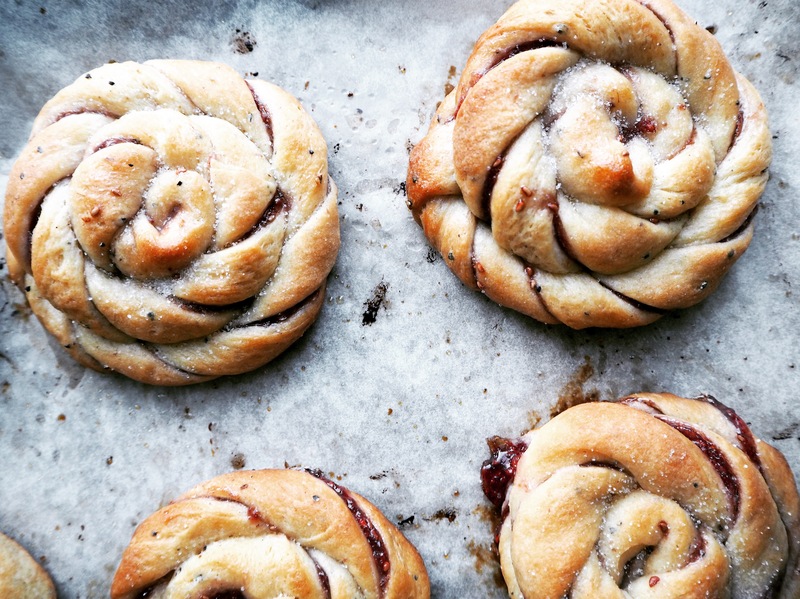 While shaped buns are proofing, put 75 gr. 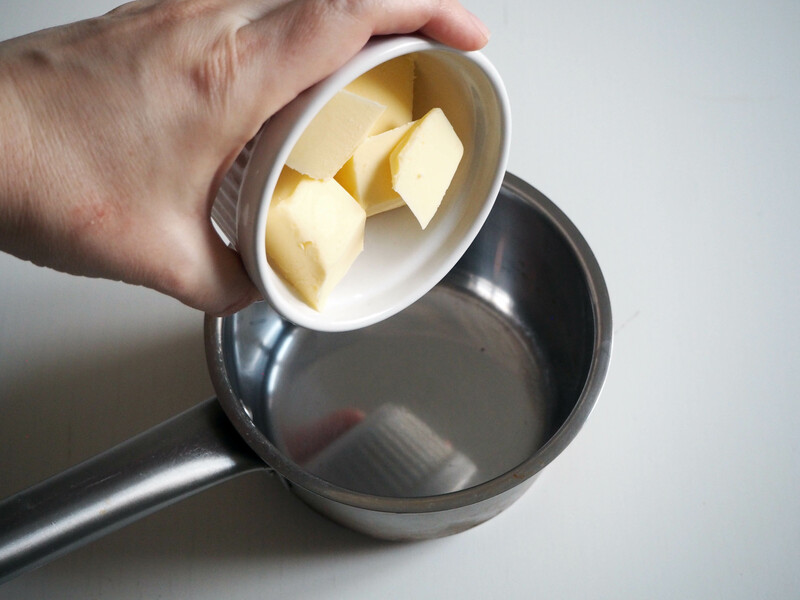 butter in a small pan and melt it, then let it cool slightly. 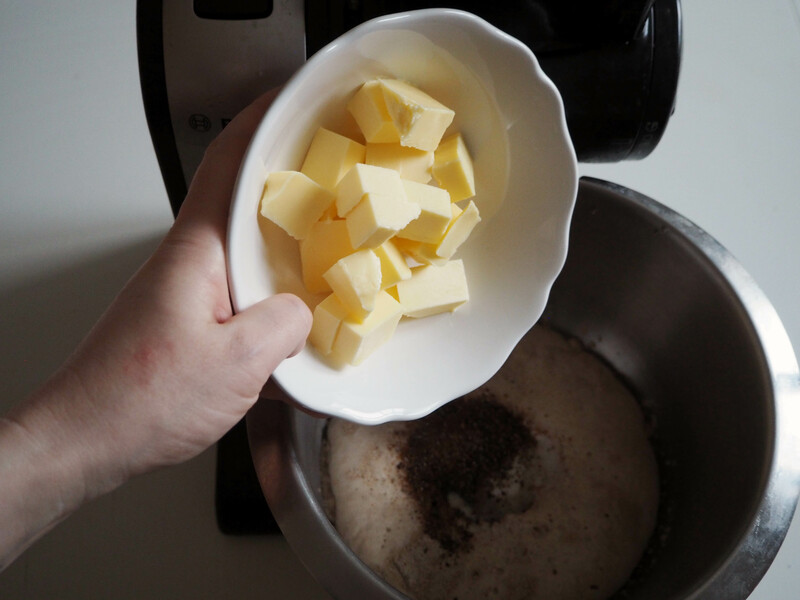 When proofing time ends, brush each bun lightly with melted butter. 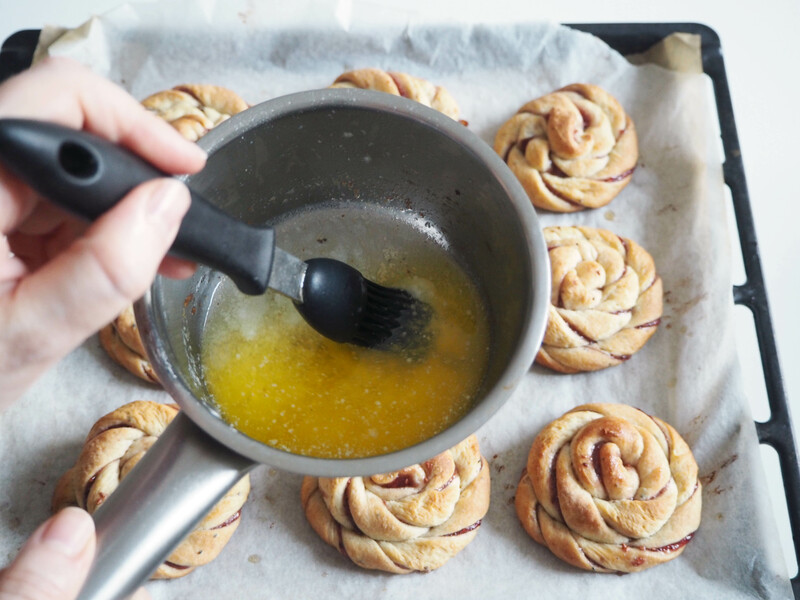 Put buttered buns in the oven, in top rack and bake for 15 to 20 minutes, until the buns slightly browned. 14. 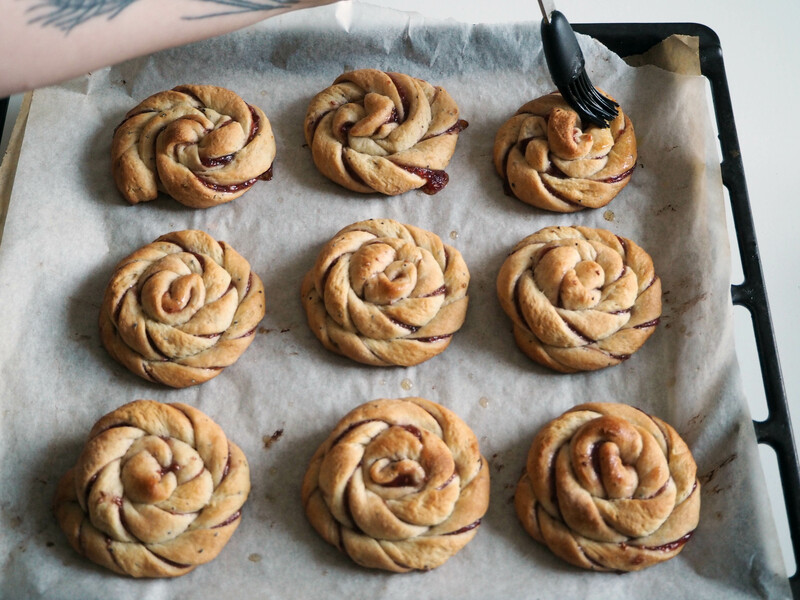 When buns are ready, take out of the oven and let them cool for 3 minutes. 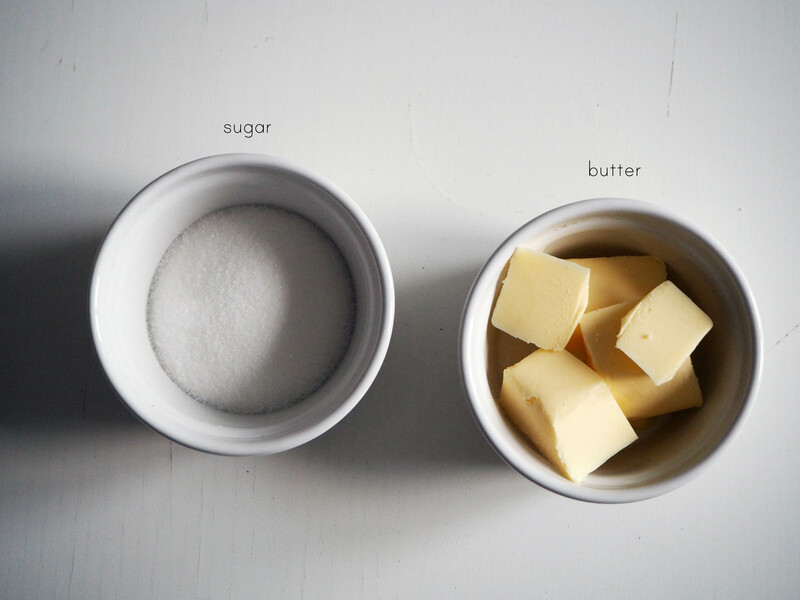 After that, brush generously with more melted butter. 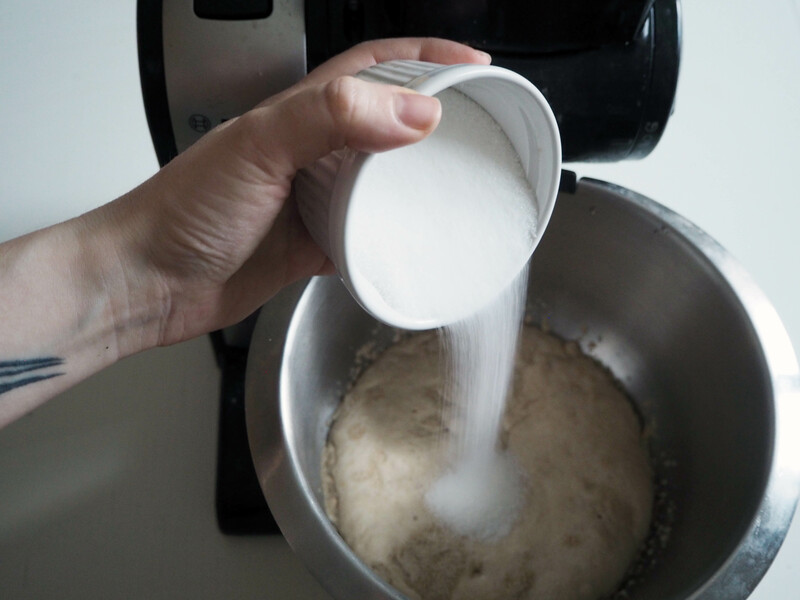 Spread a little bit of granulated white sugar on top if you like. 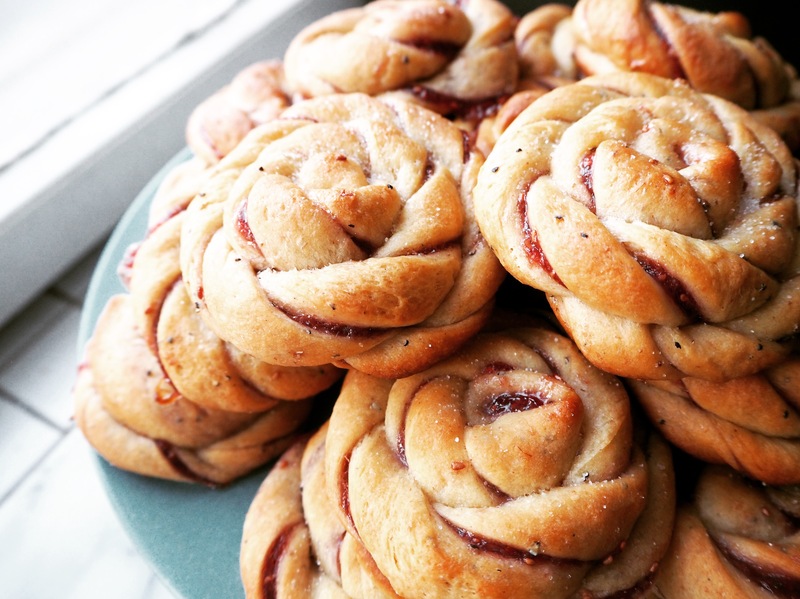 Enjoy your buns with fresh tea or coffee! 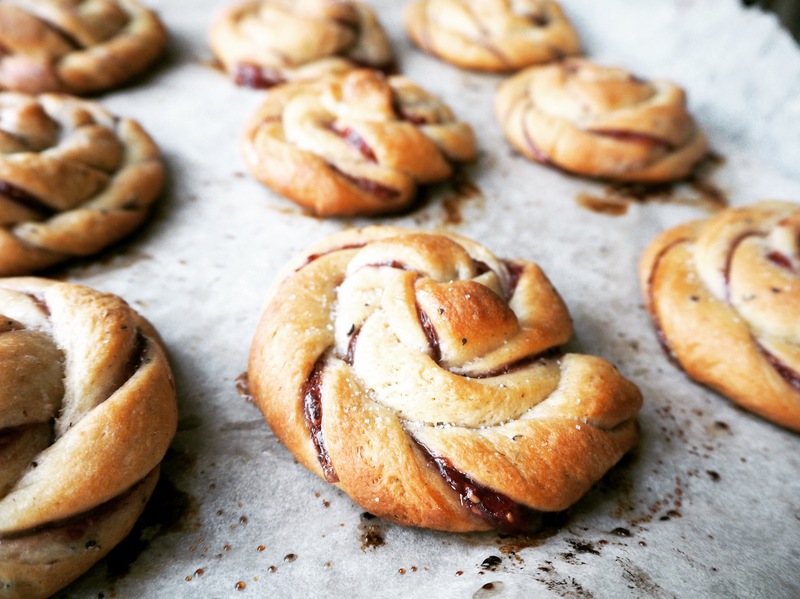 Great recipe & pics! !Thanks for sharing!